Planning a reunion? USask is here to help! 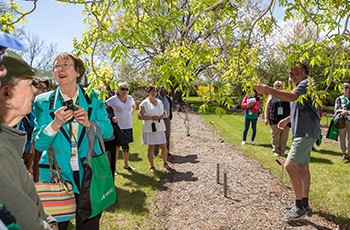 Reunions are a chance to renew old friendships, develop community networks and discover changes that have taken place at USask. Memories are relived and new ones are made. Alumni reunions contribute to university life, culture, and provide an opportunity for USask alumni to revisit the people and places that made their time at University of Saskatchewan unique. Does your graduation year end in a "9"? If so, you should gather together your classmates and organize a reunion on campus! Alumni Weekend 2019 is coming up in September (20-21) and it is the perfect time to host your reunion with many activities ready for you to build your program around. There are many people at the University of Saskatchewan who can support you during your reunion planning. You can connect with the USask Alumni Relations office to get information and support. We are here to ensure you have the tools to succeed to be confident in your volunteer role. You are important to us and we want to be sure you feel valued and that the impact of your volunteer contributions are celebrated. Reunion planning can be a fun job, one which can be made easier when undertaken with a group of committed volunteers! The volunteer reunion co-ordinator is pivotal to the reunion and its success. It’s a short-term commitment that you can do from anywhere. This volunteer will be the main point of contact with the USask Alumni Relations office. The coordinator will work with our staff to get the start planning and work with the committee of volunteers to coordinate event logistics. The volunteer reunion co-ordinator is encouraged to reach out to their classmates to strike a volunteer committee. The committee can consist of any number of dedicated classmates who will work together throughout the planning and promotion of the reunion to achieve the best possible reunion for your group. Connecting with, and updating your USask staff partner, before, during and after the reunion. Recruiting committee members to participate. Scheduling and chairing committee meetings. Developing role assignments and motivating volunteers. Whether in person, via teleconference, or through email, keep connected regularly through the planning process. The University of Saskatchewan is committed to protecting the privacy and confidentiality of personal information. All personal information that is collected by the University of Saskatchewan, whether through our website or by other means, is managed according to the Saskatchewan Local Authority Freedom of Information and Protection of Privacy Act and the University’s Data Management policy. As Volunteer Reunion Coordinator, representing the University of Saskatchewan, we require that all volunteers involved in the planning of the reunions sign and return the University Relations Confidentiality Agreement - Volunteer. This will be sent to you from your University staff partner. For more information on the University of Saskatchewan’s Privacy Statement and the Freedom of Information and Protection of Privacy Policies please visit our website. The next step will be looking for the contact information of your classmates to begin your reunion planning. The University of Saskatchewan takes privacy seriously and cannot share their contact information with you directly. We can, however, share a list of names of classmates, including what kind of contact information we have for them, and if a classmate might be deceased or lost. Frequently, alumni move and the university loses contact with them. “Lost” is the term we use to say we have no current contact information or our information is outdated. You will be able to help us locate them by sharing those names with you in case one of your classmates can forward the information/correspondence on to them. This way we can make sure they can be invited to your reunion as well! We can send the emails (or print letters, if needed, based on contact information) on your behalf to all your classmates we have valid contact information for. The correspondence with your classmates, signed by you, and sent by us, allows your classmates to choose to contact you and your committee members directly – whether they have questions, ideas, offers to help. They will also RSVP directly to you in a manner that you outline. Any post-event housekeeping details, such as event payment follow-up, lost and found, etc. It is up to the volunteer reunion coordinator and committee to decide whether partners/spouses are invited to the various reunion activities. However, with the more senior classes, inviting partners/spouses is traditional. You are welcome to invite retired/emeriti faculty to your reunion. If you have a relationship with a former professor we urge you to extend the invitation. If you wish to invite the active Dean, faculty and/or staff, we ask that you approach us first and we can help facilitate an invitation. 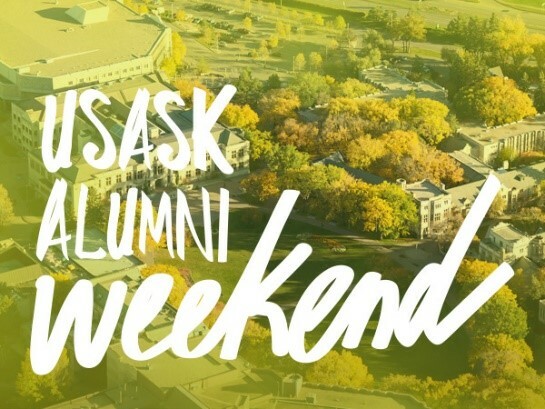 We can help you promote your reunion by posting information on our USask alumni websites, on social media channels, and on our alumni e-newsletter Beyond the Bowl. Of course, these will all be arranged as time and space permits. We encourage you to start a Facebook group dedicated to your reunion so your classmates can have a forum and momentum for your reunion. We can guide you with a USask image and branding guidelines to give your reunion an official look. 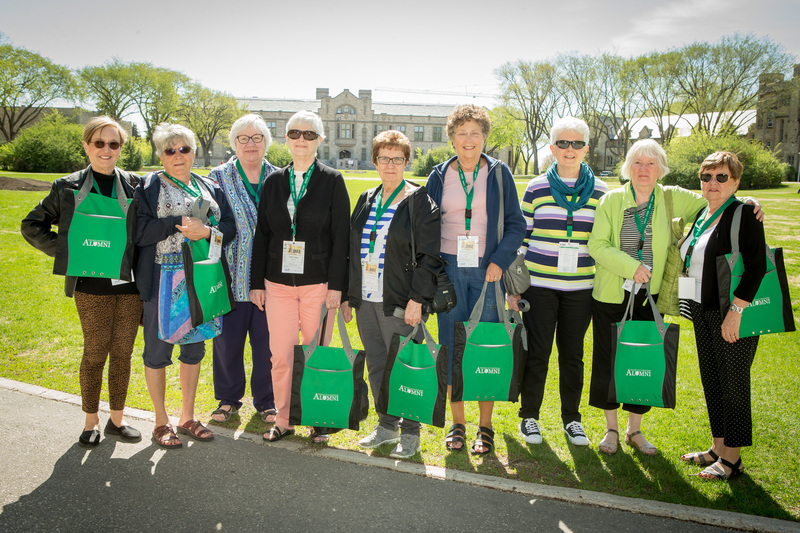 ﻿Alumni Weekend takes place at the University of Saskatchewan in the fall each year. This September weekend provides a great opportunity for reunions to take place since alumni from all colleges/schools/departments are invited to participate in activities planned by the Alumni Relations office. Check with us early – and we can give you the specific dates in September for future Alumni Weekends. There are many advantages to having your reunion during USASK Alumni Weekend. Events and activities are planned on campus that your class take participate in. There are many low cost and no-cost activities planned that may include campus tours, a Huskies’ athletics game, Golden Grad celebration, connecting with students and more. There are also opportunities for learning from our faculty and hear about outstanding research and what sets us on the global stage as a top research intensive university. Alumni Weekend – a perfect time to host your reunion! Most accommodations and venues require booking requests to be made months in advance. 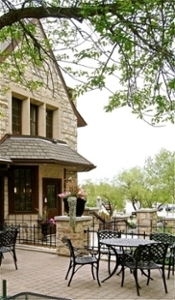 We recommend that you book the venue at least six - ten months prior to your reunion date. Make sure that the date you select is convenient for the largest number of your classmates to attend. For ideas and information on the accommodation and venue options, including options on campus, please refer to Appendix B. The pricing of your reunion depends entirely on what you plan to do. Build a budget based on projected expenses for all your reunion components to determine your reunion event price(s) per classmate/guest. If you are looking at a brunch, a simple social evening, or a full banquet dinner the costs per person will vary. It will also depend on whether your reunion will run over one or more days. The reunion committee is responsible for their own budget and for collecting money from their classmates. We suggest putting a reunion committee members in charge of the budget and collection of the money. See Appendix C for a sample budget template. Note: USask does not provide funding for reunion events. It is the responsibility of the reunion organizers to collect funds from classmates to cover the cost of events and activities. If you can make your reunion a part of the annual Alumni Weekend, there will be many events and initiatives to participate in, which will have a cost as well. We want to do more than help you plan an event – we want to help you create an experience for your class reunion! We can suggest tips to bring elements of nostalgic value to your reunion, an element of surprise and memory-generating experiences. We can offer advice and insight into locations and service providers for your group's event, and perhaps suggest some possibilities you hadn't thought of, whether on campus or off. Tours on campus? Absolutely! Our Alumni Relations staff can help you organize a tour of a number of different campus buildings. We ask that you give us plenty of lead time to ensure availability and access. Encouragement and ideas your staff partners are here to make your volunteer experience as stress-free and enjoyable as possible. Sometimes you might need to talk a plan over to work out the details; on occasion you might even need to check in to hear some words of encouragement. Please contact us at any time. Need ideas on how to set up online ticket sales and gather RSVPs? Check out great on-line sites like Eventbrite. Many classes choose to mark their reunion with a philanthropic group gift. We can help you choose a University of Saskatchewan fund to support that will allow your group's donations to have the maximum impact and that will be of interest and importance to the class, and we will help you through the logistics of inviting your classmates to join in the gift. We'll also provide reports on gift impact, kudos for goals and targets that are reached, and updates on how much your class has raised. If you'd like to learn about existing giving priorities a USask, we can help! Visit give.usask.ca for a complete list of college and school contact information and for more information on how you can give back to your gift of choice. You have taken down the banner, paid the invoices and caught your breath. Congratulations on planning an event that brought your classmates back together where connections were made and friendships were re-kindled. Thank you for all the hard work you did to make this a success! Now that you’ve had a chance to take it all in, we strongly recommended that each Volunteer Reunion Coordinator and Committee hold a wrap-up meeting immediately after the reunion to review the event. This provides you with an opportunity to discuss what worked well, what could be improved for the next reunion, and key learnings to pass on to other reunion groups. It also provides the Alumni Relations department with feedback for how to better meet the needs of our alumni and reunion groups. Once you have had your meeting, we look forward to hearing all about your event! We ask that you send us a list of those who came to your event, any address updates you have come across, and lastly we would love a write-up and a photo from your reunion! Address and contact updates for class members. These will be used to update the USask Alumni database so the next reunion can be even more successful and more classmates reached in a timely manner. Submit photos and write a brief re-cap of their reunion activities. Provide feedback on your volunteer experience. Please contact Katie Richard at the College of Law for more information and details. The 85th Anniversary Reunion event will be held in Saskatoon on May 2-4, 2019. Please view their website for more information.